Link Interactive and LiveWatch have been a couple of our top picks for best home security systems, but they fill very different needs. We’ll break down reputation, contracts, installation, warranty, monitoring, and more in this head-to-head comparison. Customer service and reputation is always a category we look into when choosing a security system. 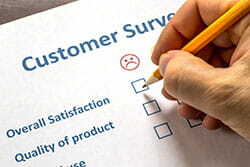 If customers are unhappy with their service, we want to inform you of some hiccups you may encounter before purchasing. Both companies offer similar support options, including phone support Monday through Saturday. Link Interactive also offers support through email, FAQs, live chat, and a support center. LiveWatch’s forms of support include help tickets, FAQs, live chat, and a help center. LiveWatch was bought out by Moni (formerly Monitronics) in 2015. Moni doesn’t have the best track record with customers compared to Link Interactive or LiveWatch, which concerns us a little since Moni bought LiveWatch not too long ago and there is still time for things to change. Both companies are fairly active in online review forums, responding to customer complaints here and there. LiveWatch has a higher number of complaints about false alarms and issues with canceling, and Link Interactive has fewer online complaints overall. That, combined with Link’s recent strides to make changes to its offerings that benefit its customers, make Link the winner in this category. 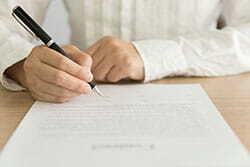 While a contract may sound like a bad thing, conjuring up images of lengthy agreements and paragraphs of legalese, there are a few benefits to having one. For starters, a contract can lock in your monthly rate and protect you from pricing increases. It also states exactly what you can expect from the company in terms of service, so you don’t have to rely on a verbal agreement. Link offers a 12-, 24-, or 36-month contract and also offers a three-year rate lock. If you sign up for longer contract terms, you’ll get a better equipment discount. LiveWatch has no contracts—you pay month to month—and from discussions with customer service reps, LiveWatch will never raise its prices. However, with Moni now owning LiveWatch, there’s always a chance that things could change. No contracts and a promise from a rep that prices will never change sound amazing and, honestly, a little too good to be true. If you need to cancel, Link Interactive lets you transfer service to another person, but if you are unable to find someone, you are responsible for paying 75% of the remainder of the contract. Because LiveWatch has no contracts, you’ll need to cancel within 30 days of the next billing cycle. If you cancel within the first 12 months, you can ship the equipment back for a full refund. Link and LiveWatch both offer only DIY installation for their systems, and they’ve both done a great job providing resources to help you get your system in place. Both Link and LiveWatch have online videos to help with the installation process, and Link also has PDF installation guides. With peel-and-stick sensors, setup for both systems is fairly simple—you should be able to handle installation without any issues. The standard warranty for home security systems is two years, which is the length of warranty LiveWatch advertises on equipment. However, LiveWatch has a lifetime warranty, but customers must ask for it specifically—it isn’t something the company advertises. We wish LiveWatch would be more upfront about this and give all of its customers the same deal, and we feel this is a big enough issue to lose LiveWatch some points in this category. Link Interactive provides a 3-year warranty on all equipment. Both Link and LiveWatch claim an average response time of 30 seconds, which is pretty standard. All monitoring from both companies is 100% cellular, which is safer than broadband or landline because you won’t lose your connection to the monitoring station if you lose power or if someone cuts your phone line. All of the monitoring stations used by Link and LiveWatch are redundant, meaning that if one station goes down, backup stations are there ready to pitch in. No matter which monitoring package you go with, the quality of monitoring stations will stay the same. Though Link has done away with equipment packages, it still offers three monitoring packages, as does LiveWatch. Below is a table of the different monitoring packages available for each company. Note that LiveWatch regularly offers discounts on its starting equipment package, so it’s always worth checking the website. *Crash and Smash Protection: If an intruder destroys your control panel, disarming your security system, an alarm is sent to the monitoring station. Your system is placed in a specific status to keep an eye on it. If the system is not disarmed, the monitoring station will know that something is wrong and the authorities will be dispatched. Want to dive deeper and compare these to dozens of other home security system packages available? Take our Home Security Package Selector quiz to get the perfect package recommendations for you. To get a full list of Link and LiveWatch equipment, we suggest visiting their websites. To give you an idea of how they compare price wise, below is a table with some equipment and pricing. You’ll notice that Link Interactive is generally less expensive than LiveWatch and Link has more equipment options than LiveWatch does. If you’re looking for home automation, Link Interactive is definitely the better option between these two. However, LiveWatch does offer some big discounts on its equipment, so don’t write it off completely. LiveWatch has been pretty stagnant over the years while competitors like Link Interactive continue to improve equipment options, pricing, contracts, and more. We’re not saying LiveWatch is a bad option, but it doesn’t stand out from the competition. It offers the basics of home security, but doesn’t push the limits. On the other hand, Link Interactive has continued to evolve and has a completely customizable equipment selection to let customers to choose what they need. Link also offers a wide array of home automation equipment, which is something LiveWatch lacks. Which company came out ahead in your book?